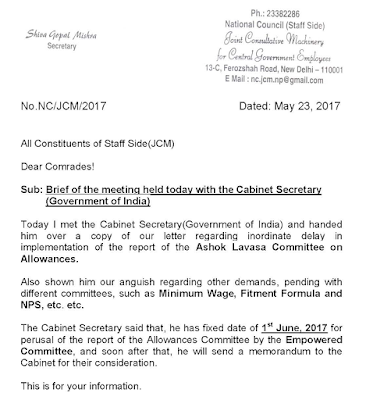 New Delhi, May 1: The National Joint Council of Action (NJCA), the consolidated body of employee unions, held a meeting with Cabinet Secretary P K Sinha Today to discuss the report submitted on allowances. 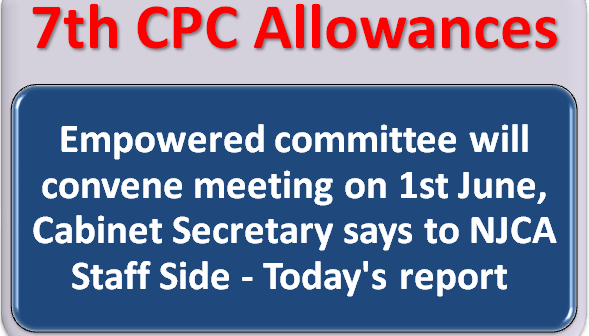 As NJCA chief Shiv Gopal Mishra, the Cabinet Secretary has fixed date of 1st June, 2017 for perusal of the report of the Allowances Committee by the Empowered Committeearrears on allowances. 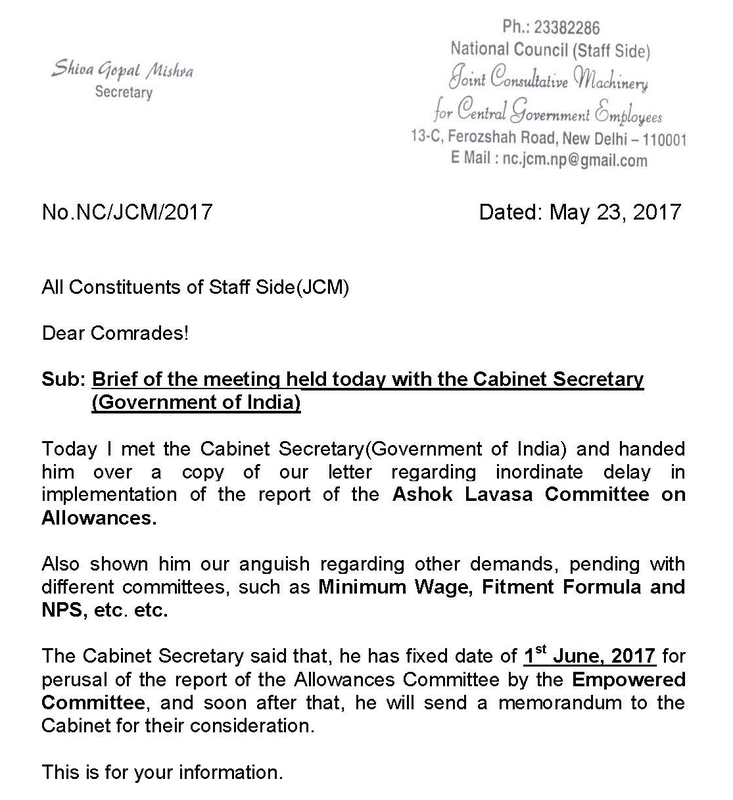 Today I met the Cabinet Secretary(Government of India) and handed him over a copy of our letter regarding inordinate delay in implementation of the report of the Ashok Lavasa Committee on Allowances, NJCA chief Shiv Gopal Mishra confirmed through his official website. 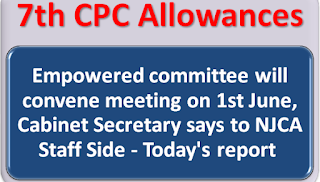 Share this article with others using the Proper Source link.